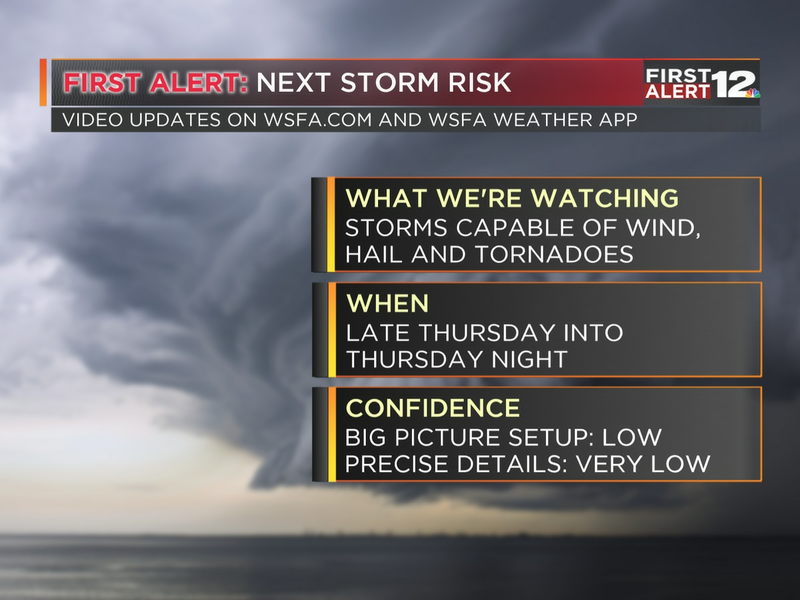 First Alert: Wonderful weather through the weekend! 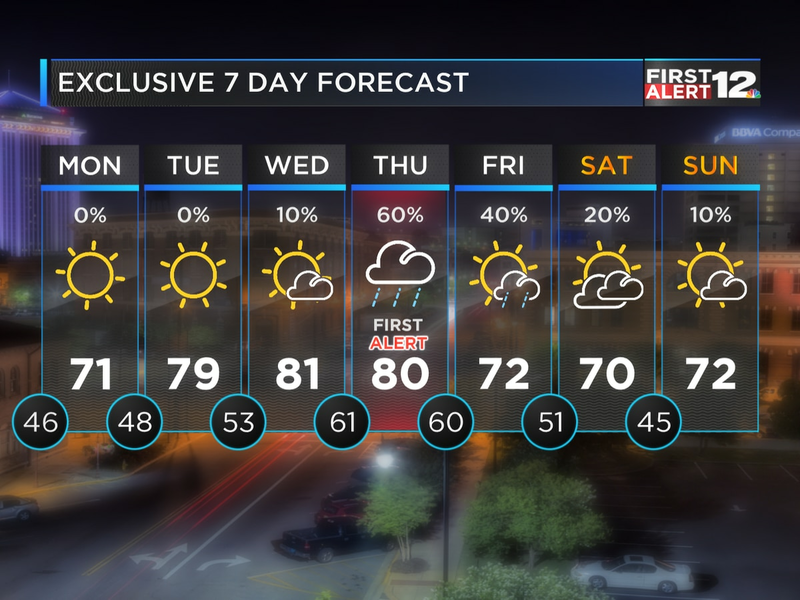 MONTGOMERY, AL (WSFA) - Our forecast is about as good as it gets for early spring! Saturday will be a great day to get outside, but dress in layers! After a chilly start in the 40s, sunny skies will help warm our high temperatures into the low to mid 70s. 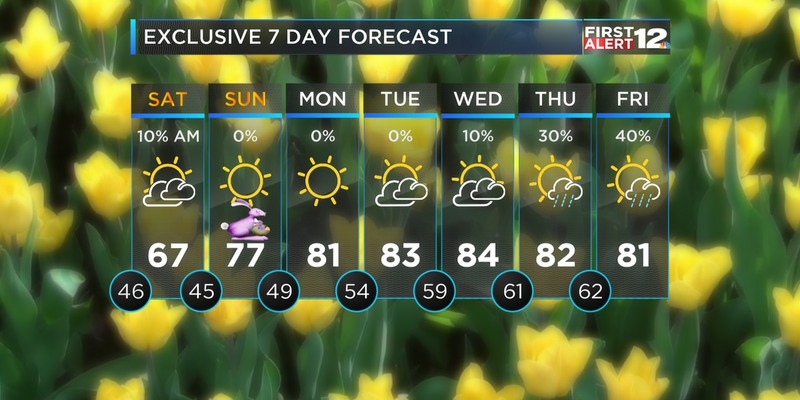 Temperatures will stay warm in the mid 70s Sunday as a few clouds filter back in, but the rain will hold off until Monday. Our next storm system will arrive early next week with showers developing Monday. Models forecast at least some instability, so there could be a few thunderstorms involved too. A few showers linger Tuesday, then we’ll be dry again by midweek.